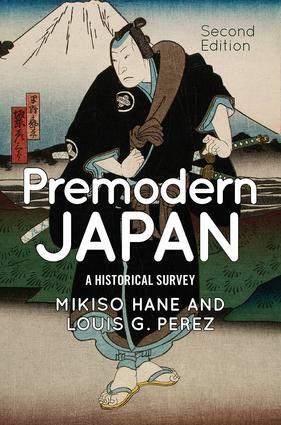 Japanese historian Louis Perez brings Mikiso Hane's rich and beloved account of early Japanese history up-to-date in this thoroughly revised Second Edition of Premodern Japan. The text traces the key developments of Japanese history in the premodern period, including the establishment of the imperial dynasty, early influences from China and Korea, the rise of the samurai class and the establishment of feudalism, the culture and society of the long Tokugawa period, the rise of Confucianism and Shinto nationalism, and finally, the end of Tokugawa rule. While the text provides many political developments through the early modern period, it also integrates the social, cultural, and intellectual aspects of Japanese history as well. Perez's updates to the text provide a comprehensive overview of the major social, political, and religious trends in premodern Japan as well as offering the most current scholarship.